On March 16, 2019, presenters from the School District of Philadelphia, the Pennsylvania Department of Environmental Protection (DEP), the National Wildlife Federation (NWF), the Philadelphia Energy Authority, and Boyer Sudduth Environmental Consultants (BSEC) gathered at the Franklin Institute for the Bright Ideas About Energy Workshop. 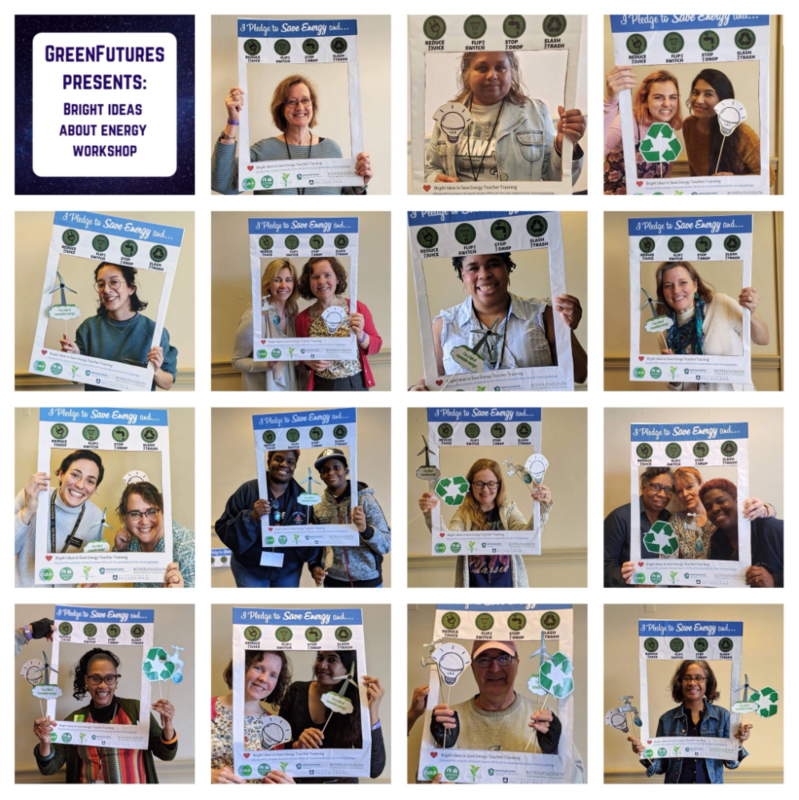 This workshop consisted of twenty-two sustainable minded teachers from the Philadelphia region seeking to enhance their understanding of energy conservation and develop tools to bring back to the classroom. Following a presentation from Dr. Rachel Valletta, the director of the City and Urban Systems Partnership run through the Franklin Institute, teachers raced to stop air from flowing out of the interactive model “House of Holes.” The model demonstrates one of the possibilities to save energy discussed by Dr. Valletta by properly sealing doors and windows to stop A/C and heat from escaping. She also poses the questions “How can we become informed citizens to make a decision on [environmental policy] and help our students get there as well? How can we best equip them with the capacity to make those decisions?” Her answer: environmental education. Teachers learned what it takes to become an Eco-School from Holly Gallagher, Regional Education Manager for NWF. Then they were given a chance to check out the Energy Exhibit at the Franklin Institute and returned to learn about solar power and Solarize Philly from Laura Rigell, the Solar Manager for the Philadelphia Energy Authority. 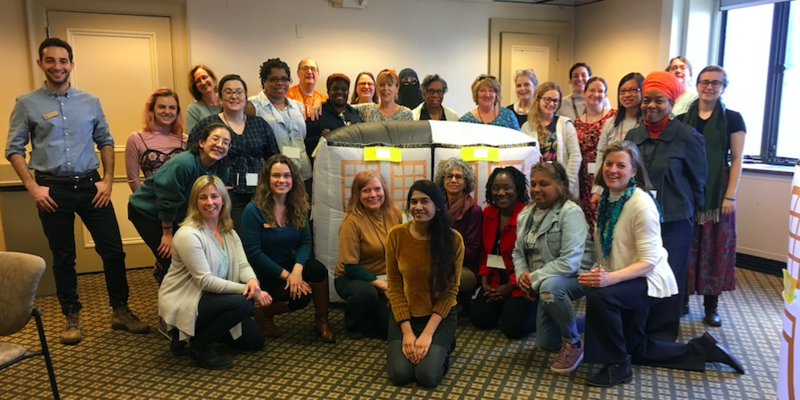 “It’s critically important that teachers understand how energy can be used as a tool for impact in their schools, both as a tool to achieve needed capital improvement to buildings and the tool to connect their students to careers in the clean energy economy,” she states. Mary Ann Boyer, Co-founder of BSEC, presented teachers with an engaging lesson plan to teach their students about electricity. Afterward they measured air temperatures, kilowatts, the power of insulation, and calculated their carbon footprints. Philadelphia uses less than 4% renewable energy - not including hydroelectric - and sources the majority of its energy from natural gas. Microwaves and hair dryers are the biggest household consumers of energy - even when not in use. A gap of only ⅛” around a door amounts to a hole bigger than the size of your hand, allowing large amounts of conditioned air to escape. 37% of electricity is consumed by commercial buildings, 38% by residential units, and 25% is used by factories. By Lauren Hammett, a senior in the Environmental Studies department at Temple University ‘19, and intern at Boyer Sudduth Environmental Consultants.